It’s been a good couple of weeks for Hillary Clinton’s campaign, mostly because it’s been a bad couple of weeks for Donald Trump’s campaign. As Trump faces plummeting poll numbers and and a mutinous Republican Party, Clinton has the luxury of watching her general election opponent destroy himself without lifting a finger of her own. This gives her plenty of time to think about other things — like choosing a running mate. And by when does Hillary Clinton have to choose a vice president, anyway? According to the rules of the Democratic Party, she won’t have to pick a running mate until the national convention in July. That’s when the party formally nominates its candidates for the presidency and vice presidency. Clinton, then, is under no obligation announce her running mate before the week of July 25, when the convention takes place. Similarly, Trump won’t have to name his vice presidential pick until the Republican National Convention, which will take place a week before the Democrats hold their convention. This timing here is important: Because the Republican convention is first, Trump technically has to announce his vice president before Clinton does. This means that Clinton, if she wanted to, could wait to hear who Trump names as his running mate and factor this in before committing to her own pick. Whether or not she’ll do this is another question entirely, but it's an option she has that Trump doesn't. The bigger question is who she’ll pick. The Wall Street Journal reported on Thursday that Clinton isn’t considering putting Bernie Sanders on the ticket, but named several Democrats with whom she is thinking of running. Those candidates include Sens. Elizabeth Warren, Sherrod Brown, Tim Kaine, and Cory Booker; Housing and Urban Development Secretary Julian Castro; Labor Secretary Tom Perez; Reps. Xavier Becerra and Tim Ryan; and Los Angeles Mayor Eric Garcetti. That’s a pretty big list, though, and does little to indicate who she’ll actually pick. Some Democrats believe that that Warren would be the smartest choice, as she’s ideologically similar to Sanders and could potentially convince his supporters to rally behind Clinton’s candidacy. But there are drawbacks to Warren as well. She’s criticized Clinton pretty harshly in the past, and her aggressively populist economic policies could alienate some of Clinton’s Wall Street donors — and perhaps drive them into Trump’s arms. 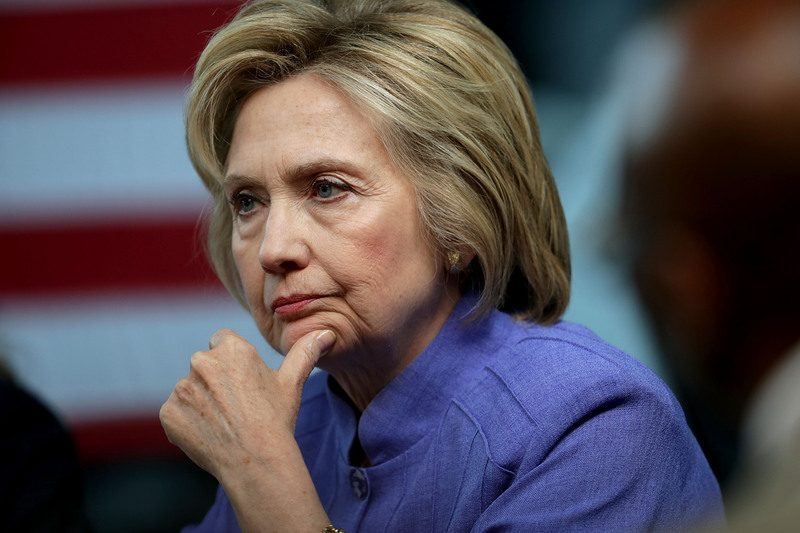 In fact, all of Clinton’s potential running mates have pros and cons. There’s no obvious “best” pick, which makes it tricky to predict who she’ll choose. Whoever it is, they’ll be officially nominated at the end of July. Whether or not we learn their identity before then is up to the presumptive Democratic nominee herself.